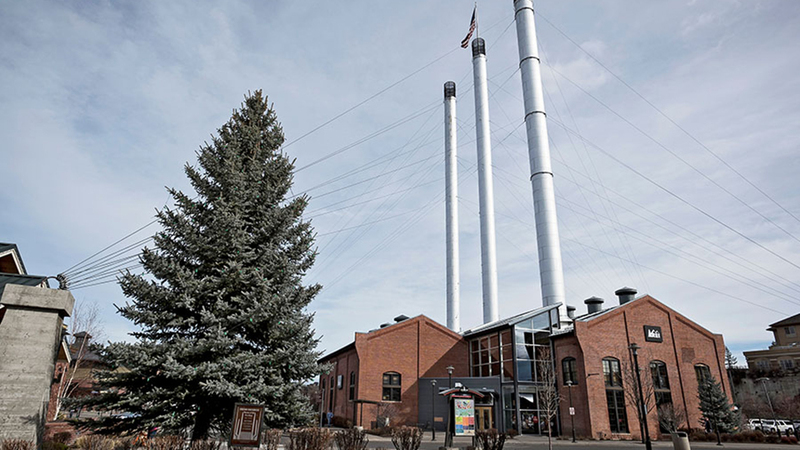 REI (aka Recreational Equipment, Inc.) may have 147 stores in 36 states but only the Bend store can say it’s located in the Old Mill District’s historic Mill B Powerhouse building. Inside the store under the smoke stacks, the place is loaded with everything you could possibly want or need for your adventure in Central Oregon and beyond. The stock rotates by season and in warm months you will find bikes of all kinds, a full-service bike shop to keep your purchase running smoothly, running gear, paddleboards, camping gear, warm weather clothing for the whole family…stop us when you get the picture. When the snow flies, REI in the Old Mill is the place for skis, snow shoes, boots, gloves, cold weather clothing, and more. Year round the store carries camping stoves and fuel, climbing gear, backpacks, hydration packs, sunglasses, watches, fitness trackers, the list goes on. And just like every REI you’ve been in, the Bend store is staffed by helpful, knowledgeable people who are happy to answer your questions about the gear and ready to give you tips on local places you can go to try it out. REI in the Old Mill District is open Monday – Saturday from 10:00 a.m. – 8:00 p.m. and Sunday from 10:00 a.m. – 6:00 p.m. They are not, however, open on Black Friday. Thanks, REI.